Get debt help from experienced, government licensed trustees in Vaughan. If you are considering filing bankruptcy or would like to make a proposal to your creditors, as federally Licensed Insolvency Trustees and Consumer Proposal Administrators, Hoyes, Michalos & Associates Inc. can help. We can reduce your monthly payments and help you become debt-free with accredited government debt relief programs administered under the Bankruptcy and Insolvency Act. Our local Vaughan trustee is Jason Quinney, Licensed Insolvency Trustee and qualified Insolvency Counsellor. 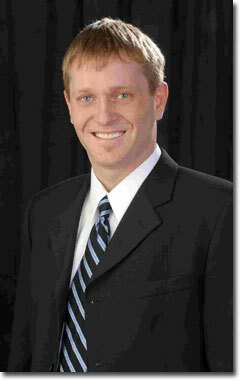 Jason will explain all of your options, including bankruptcy, consumer proposal and other debt management alternatives. He can help you save by reducing your monthly debt payments. Free consultation and debt counselling. Fill out the form to contact us today and become debt-free. Our Vaughan office is centrally located in the city of Vaughan, near Highway #7 and Highway #400. 216 Chrislea will be on your left hand side and we are in suite 505.